Philips Electronics, which has been in the consumer market for more than 80 years, announced Tuesday that it has sold off the remnants of its consumer-oriented business. In addition to being a key component supplier and partner for Apple, the company has also sold its own electronics over the years in an attempt to compete with Apple, Samsung, Sony and others. But that business has been a money loser for Philips, prompting the company to sell its audio, video, multimedia and accessories businesses to Japanese company Funai Electric, according to The Wall Street Journal. Philips is believed to have supplied LED flash modules for Apple's iPhone over the years. In addition to offering lighting products, Philips is also primarily a medical equipment manufacturer. Last year, Philips and Apple also partnered exclusively to offer app-controlled "hue" lightbulbs at Apple's retail stores. Dubbed "the world's smartest LED bulb," the product allows users to control their lights, including what color they display, through an iOS application. 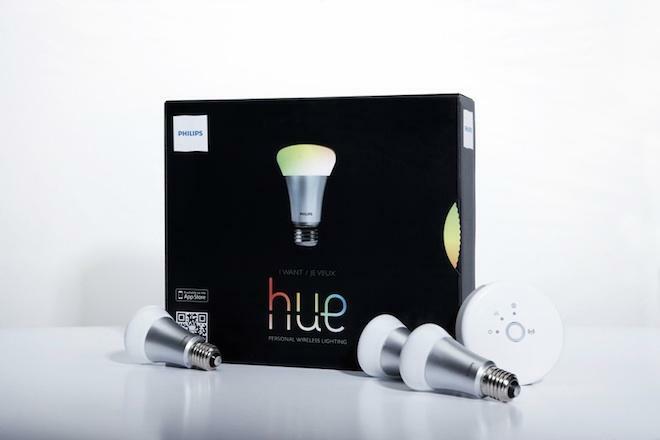 The hue is made by Philips' lighting division, and will not be affected by the restructuring. Last year, Philips was also one of the first companies to announce a series of speaker docks and clock radios compatible with Apple's new Lightning connector. Such consumer-oriented devices will now be handled by Funai.